Have you ever heard the tale of Cultural Nights? Because you should have by now. 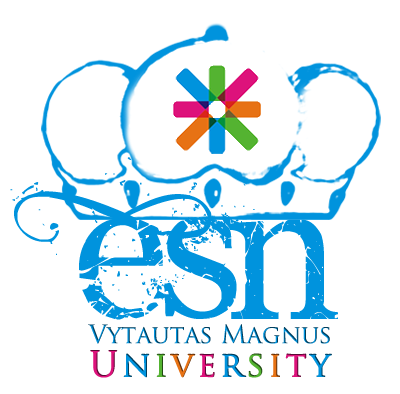 On the 20th of February enchantment filled the drizzly air when ESN VMU, with a swing of a magic wand, opened the sixth season of their legendary Cultural Nights! Entitled “Once Upon a Time…” the new season will not only introduce everyone to customs, cuisine and vibe of different cultures but will also take you to the wondrous journey of fairy tales. Exchange students will become international tale tellers and will spread the word about their lands. In 11 nights you will hear most exotic tales from Venezuela to Benin, Egypt to South Korea and all over the Europe. Excited already, aren’t you? First Cultural Night traditionally belonged to Lithuania. Yet, before officially opening the season everyone joined in a moment of silence for the people of Ukraine who lost their lives while fighting for their rights, freedom and a better tomorrow. After paying our respects the time has come to start the fun. The President of ESN VMU accompanied by our member Sandra who was wearing traditional Lithuanian gown throughout the night, presented main facts, traditions and things we are famous for outside the country. We sensed like everyone needed a good laugh so we decided to laugh at ourselves by showing how fluent and skillful some of Lithuanian politicians are. As much as important it is to know the culture, this season is all about the fairy tales. Therefore, Lithuanians set an example of how this should look like and brought to life one of the best-known Lithuanian folk tales “Egle – the Queen of Serpents”. The story about forbidden love, family and treason was narrated and performed by ESN VMU members. All this new information and entertainment makes you hungry. So we invited everyone to try our traditional snacks and drinks. After the lunch break all that was left were crumbs on the table. By the end of the night we tested students' memory and lost some prizes to the ones who paid most attention during the presentation. The night continued with everyone dancing breathlessly until late hours. Looks like some of you missed a lot of fun. Do not make that mistake again and book your next Thursday evening as USA, Cameroon and India takes over the stage.